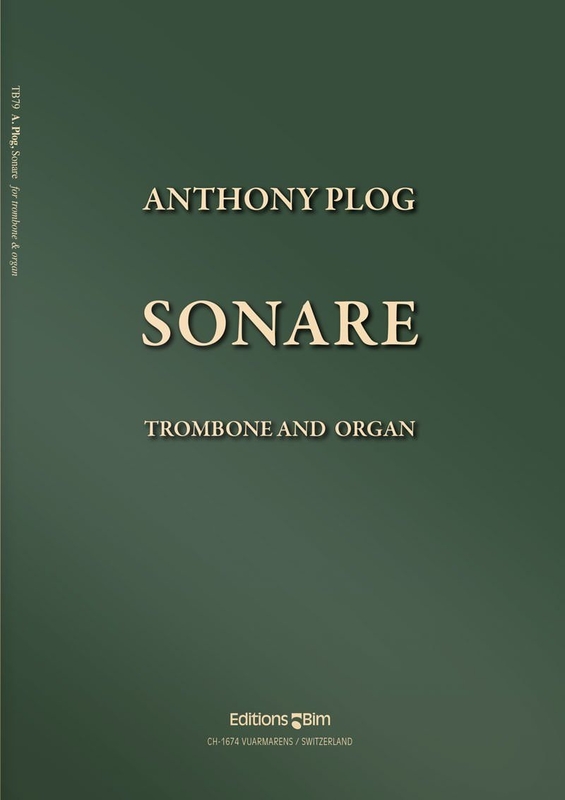 Anthony Plog has composed numerous works for and featuring brass instruments, and has made great contributions to the repertoire. This piece is highly significant as it adds to our solo repertoire with organ, which is a fantastic but underrepresented combination. Both parts are well-engraved and clearly marked to make the music easy to read, and the trombone part features enough organ cues to help the trombonist easily collaborate with the organist. True to its title, this piece allows the trombone and organ to show their sonorous capabilities. Alternating slow and faster sections call for flowing melodic lines followed by quick and light staccato passages. While at times the organ provides homophonic chordal accompaniment in the faster staccato passages, in much of the work both instruments play individual melodies that imitate or play against each other. The melodies frequently feature large leaps and repeated intervallic sequences in thirds or fourths. The triplet rhythm is used extensively. While there is nothing overtly difficult, the collaboration of the two instruments and the flowing leaps in many of the melodies demand confident performers with a strong command of their instruments. The trombone range is just over two octaves, from B-flat up to b1. No key signatures are given, resulting in frequent accidentals. This will work well on collegiate recitals.